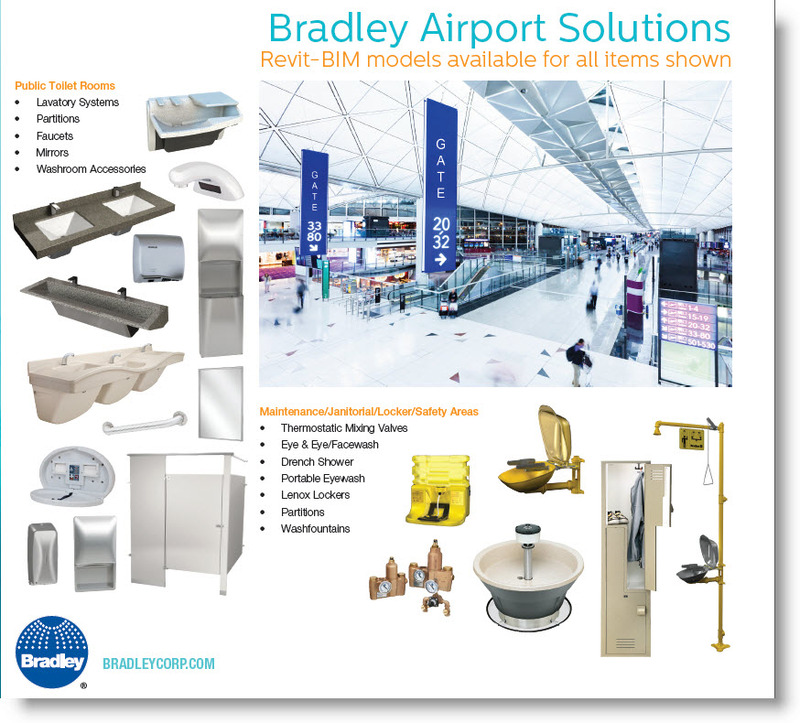 The Guide is a "snapshot" of Bradley Plumbing Fixtures and Toilet Room Accessories products \ Revit Families designed for hospital and healthcare facilities. 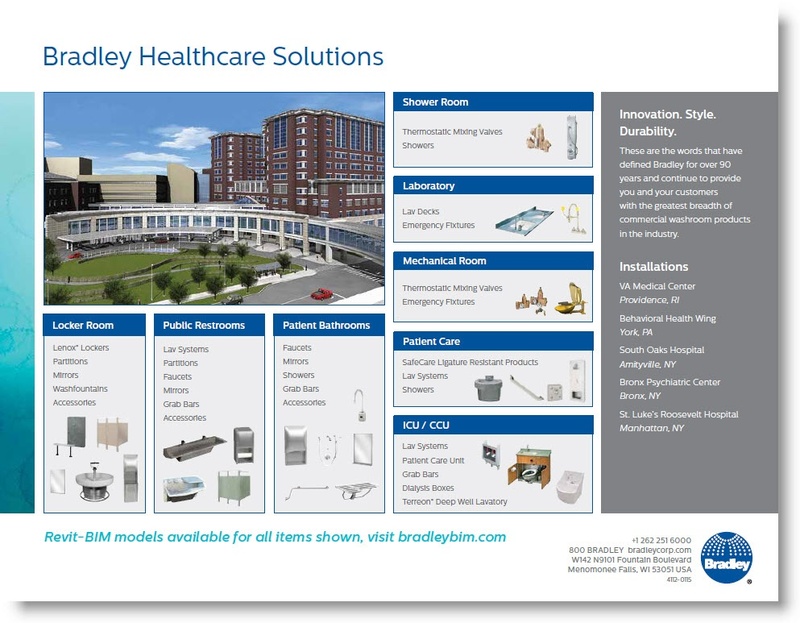 Visit the Bradley Revit Family Library for several hundred more Bradley hospital and healthcare product design options. 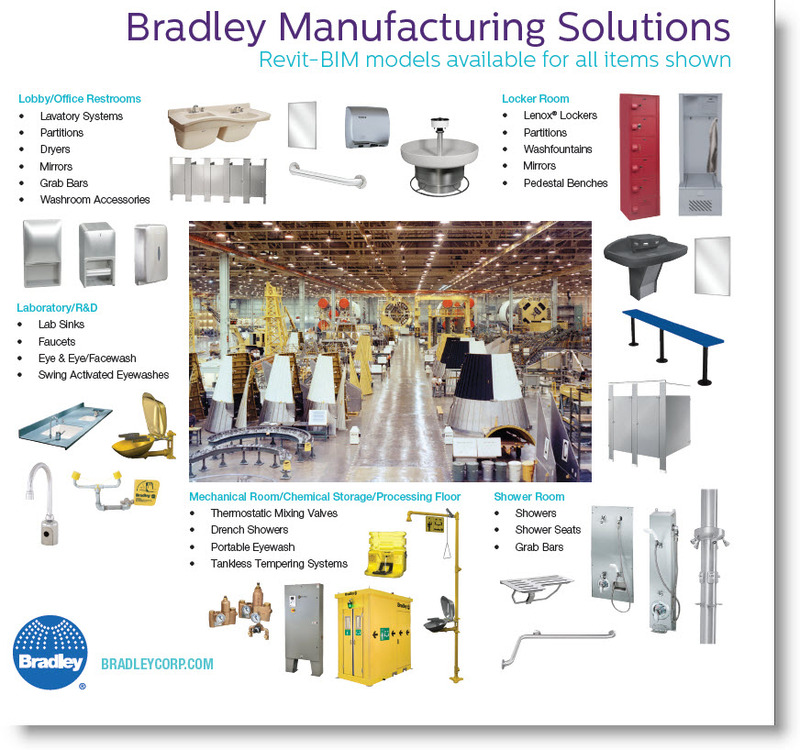 Bradley BIM Technical Support Articles created from Client inquiries. 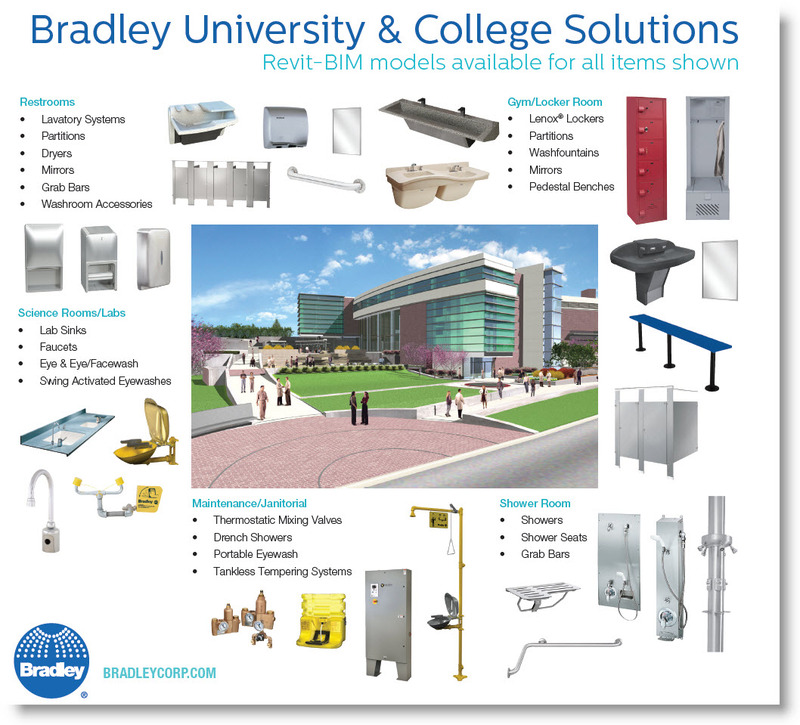 Visit the Bradley Product pages from which the Bradley Revit Family Library was built. 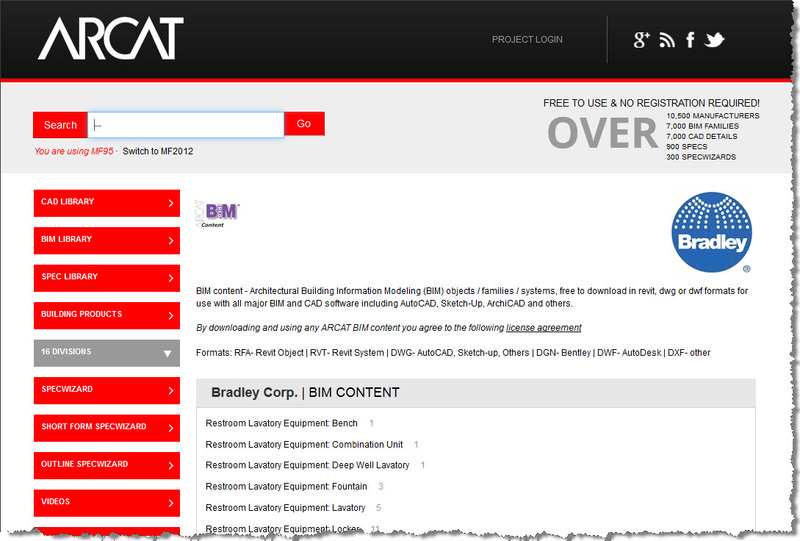 Bradley Corporation has expanded the ARCAT - Bradley BIM Library.